This contest started on 12/11/17. This contest has a winner. * Win A $10 Blaze Fast-Fire’d Pizza Gift Card. Jeff Eats got a $10 Blaze Fast-Fire’d Pizza Gift Card to give to one of you guys! The $10 Gift Card is good at any Blaze Fast-Fire’d Pizza restaurant (for locations, menu, info- blazepizza.com). 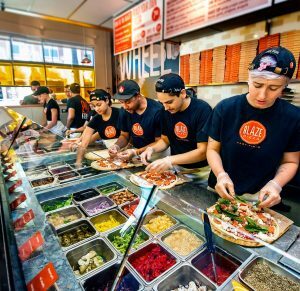 I love Blaze, but why no garlic knots, bread or rolls? This sounds good! Thanks again. Might have a winner by tomorrow.